Playful, curious kittens need the right start in life to ensure they grow into healthy cats. 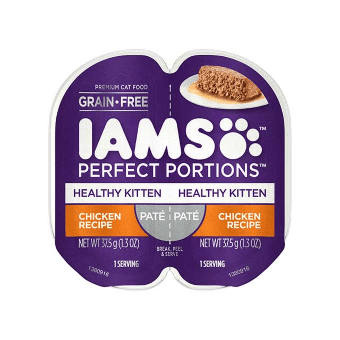 When it comes to choosing the best kitten food for your little one, trust IAMS® PROACTIVE HEALTH® Kitten Food - made with real chicken as the #1 ingredient and zero fillers. Omega-3 DHAs help brain and vision development, while antioxidants help build strong immune systems. When it comes to your kitten, count on IAMS® kitten food to help them grow up happy and healthy.